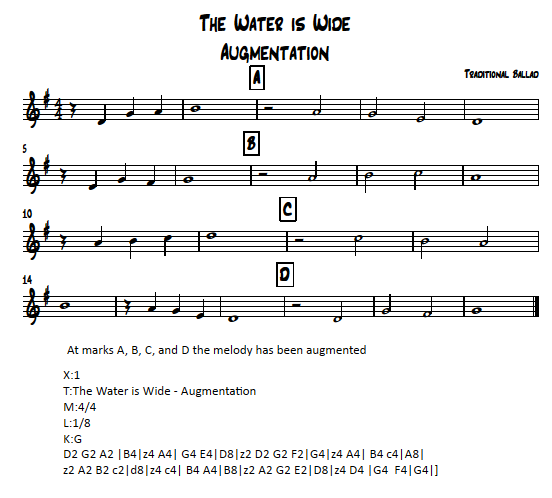 Augmentation – rewrite the motive but double the value of all the notes in the original motive. So, if the original motive was all quarter notes, the developed motive would be all half notes. Augmentation slows down a melody. Often augmentation is perceived as a change in meter. The technique is effective when trying to make music more deliberate or profound. It can have uses in parody and satire pieces. 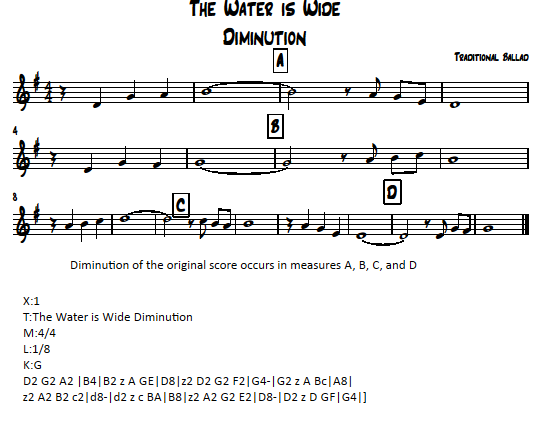 Diminution – rewrite the motive but halve the value of all notes. For example, if the original motive was all quarter notes, the developed motive would be all eight notes. Diminution is the opposite of augmentation. The technique seems to quicken the pace of a melody. Again diminution may be perceived as a change in meter. The technique has value in parody and satire pieces and as a means to speed up the tempo between parts of a composition.